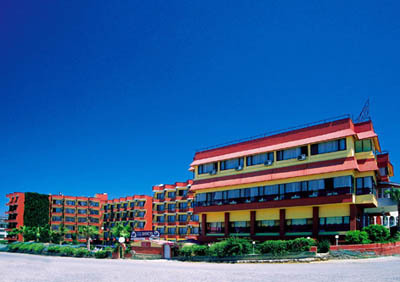 Situated in Okurcalar, Alanya is just 35 km, Antalya airport 90 km away. Reception * lobby * restaurant * lobby bar * pool bar * beach bar * disco * TV room * outdoor swimming pool with children's section * indoor pool . 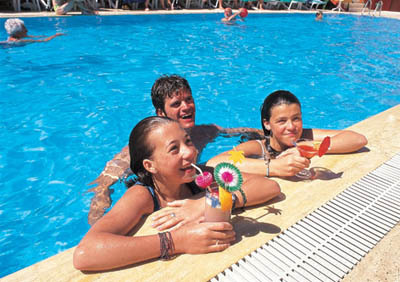 Tennis court, beach volleyball, darts, kids club (4-12 age), animationsl, Turkish bath, children's playground. 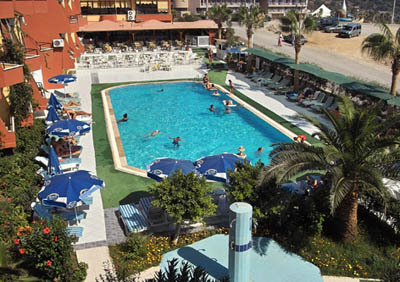 Table tennis, beach towels, sauna, massage, safe, water sports. 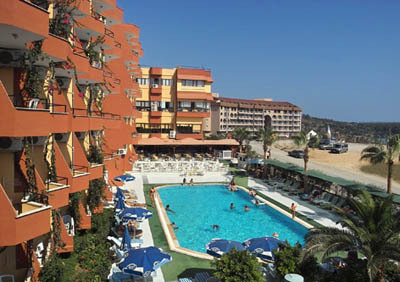 Air-conditioning (split) * balcony * minibar * satellite TV * bathroom with hairdryer * telephone * safe (payable locally). Sandy beach is just 150m away. Sunbeds, umbrellas and mattresses available free. Open buffet breakfast, lunch & dinner, snack in the afternoon, coffee break.